Some of us need to remember a past-life in order to better understand this one. I had memories thrust upon me in childhood, as if the purpose of this life was to remember the last one. To remember death in order to know there is no death, only a continuity of the soul. I recorded the story of my childhood drawings and dreams in my memoir, The Nancy Who Drew. It was subtitled, The Memoir That Solved A Mystery, because I found answers through the writing. However, there was one mystery that remained unsolved. It had to do with a story of yellow primroses and a little English girl, an evacuee, who was sent to live in America during the war. I had found the story by myself in the local library in the late 1950s, and the effect on me was profound and deep and long-lasting. I think one reason the memory remained as strong as it did was because although the story began as one about loss, about leaving home and family behind, it became a happily one when the girl found primroses also grew in America. My dreams and drawings had been about death, and this story was about renewal, and finding a treasured memory in a new land. No wonder I was consoled. I remembered the title as The Yellow Primrose, and forty years later, when I began writing about the past, I tried to find the book again. I was asking myself, what did I know about a past life, and when did I know it? I felt certain this book held a clue, but the only copy I could locate was in the Library of Congress. It may as well have been in Timbuktu. 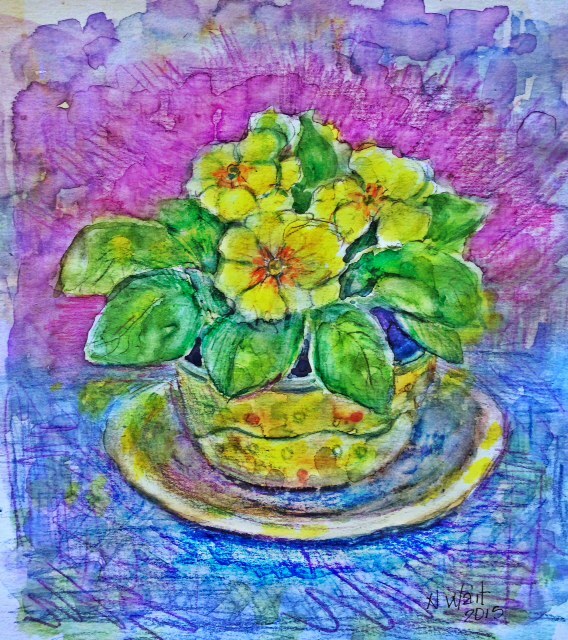 I published my memoir, and four years later as I neared completion of the sequel, I thought of The Yellow Primrose again. The roundabout path to rediscovering the book began the day I opened my Kindle and saw an advertisement for Christopher Milne’s biography, Enchanted Places. I had never heard of it before, and I was glad I had not paid more money for a Kindle without advertisements. I began reading Enchanted Places, and his next, The Path Through The Trees, and became interested in finding out more about his father, A.A. Milne. I discovered he had written, It’s Too Late Now, An Autobiography of a Writer. Too late for what, I wondered? I did a search, and found it in the archives at the New York Public Library. 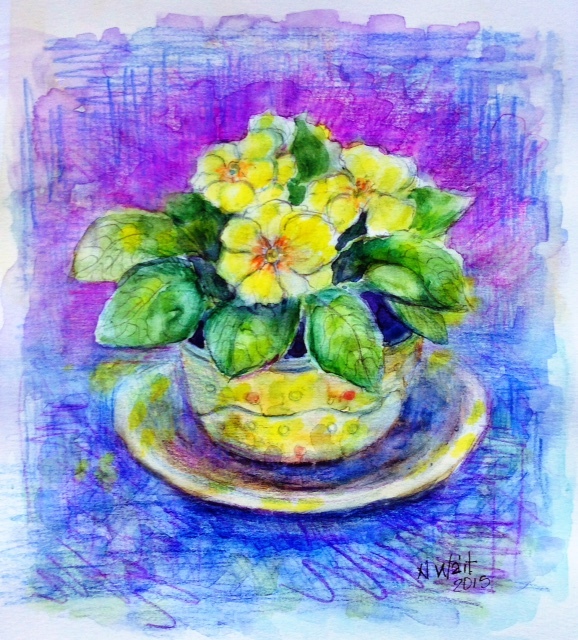 I had to make a request for it in advance, and in the process I thought why not look up The Yellow Primrose again while I’m at it. And there it was. They had it in the archives. I couldn’t believe it had been there all along. I put in a request for both books for the following week and then failed to show up. We were in another deep winter freeze with snow and ice. I had waited this long to find The Yellow Primrose; why not wait till the spring. But I couldn’t wait. I ordered The Yellow Primrose again, and presented myself at the call desk. Now, after a wait of eighteen years, I was told I only had to wait thirty more minutes—forty-five at the most. I was on pins and needles. I went outside to get some air. 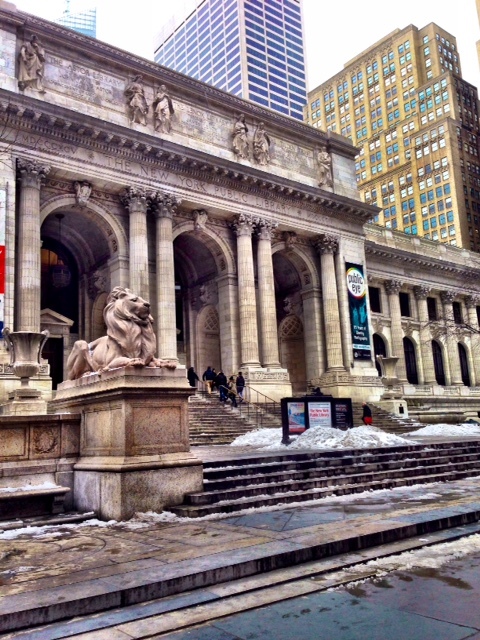 After pacing up and down in front of the entrance and paying my respects to the literary lions, Patience and Fortitude, I returned to the reading room to claim my book. 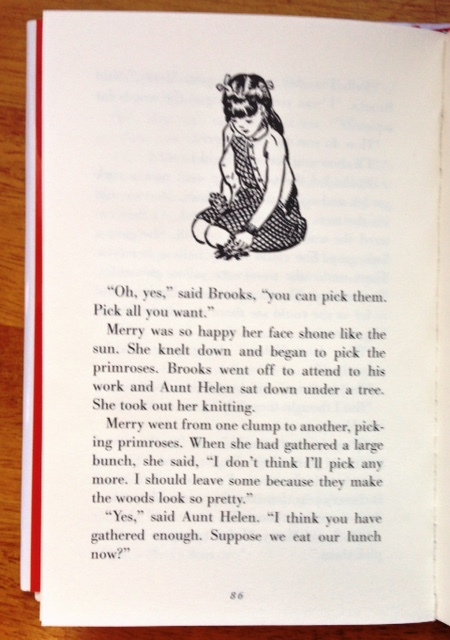 That it was on the thick side for a children’s book, and the print was small and densely packed, did not dissuade me. The title was right. The date of publication seemed right—1928, London. I dove in. Even when part of me knew this wasn’t the right book, I kept reading. I kept reading because I couldn’t give up. Not yet. Then I thought if I could find the passage that referred to yellow primroses, it wouldn’t be a complete waste. But I couldn’t find it. I admitted defeat and went home thinking at least I tried. When I got home I found I had received a lot of notifications on facebook. I had forgotten that while I was at the library waiting for them to fetch my book, I had posted about it, mentioning how nervous and excited I was to think after all these years at last I might reconnect to a childhood memory—and in a tactile way—holding the book that connected me to a soul memory all those years ago. “What’s the book?” What’s the name of the book?” my friends were asking. So I told them, including the part about my hopes being dashed, and feeling some parts of childhood need to be left behind, even for a memoirist. 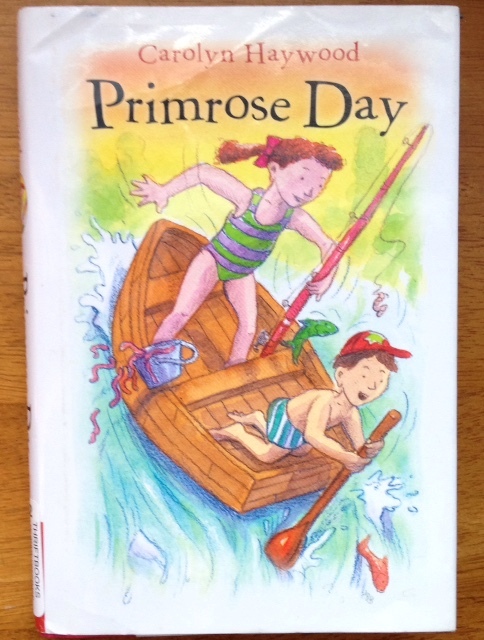 But one of my facebook friends took the time to look up a children’s book with primroses in the title, something I had never thought to do, and she found one called Primrose Day that she also remembered as a child. Could this possibly be it, she wondered? It could. It was. I ordered the book on Amazon and then I read it. For the first time in almost sixty years, I reacquainted myself with the little girl who came to America and longed to see the primroses from home. She found them. And in finding her again, I found the flower that bloomed through the mists of time. I have tried to request A.A. Milne’s autobiography again, but keep getting the message that it is in transit. I will still try, though It’s Too Late Now no longer applies to me. This entry was posted in Art of the Path, Memoir and tagged A.A. Milne, alchemy of memoir, autobiography, bridging worlds, Christopher Milne, memoir, past memories, primrose day, remembering the past, soul memory, the nancy who drew, the yellow primrose. Bookmark the permalink.